Amarone della Valpolicella – A New Find! 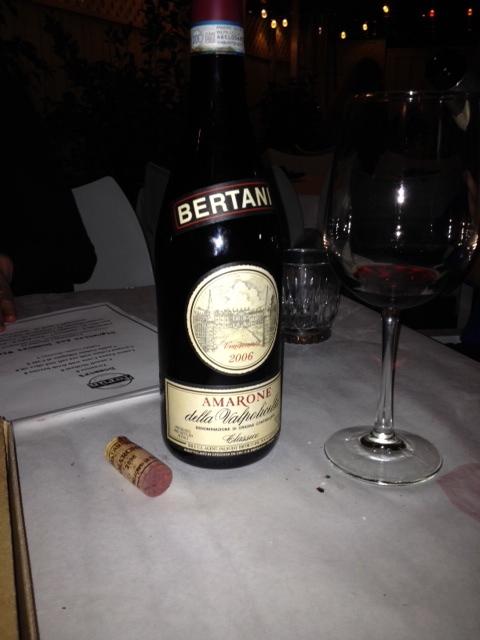 At a recent group dinner, we discovered Amarone. What a treat! 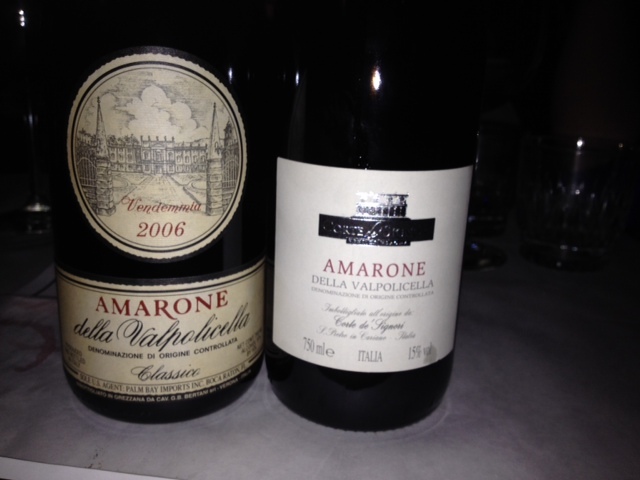 A couple of weekendwinos had just returned from Italy and were delighted to find that the restaurant we selected offered a great selection of Amarone wines and they were eager to have the group share what they had experienced on their trip. The wines full name is Amarone della Valpolicella, it is made in the Valpolicella region north of Verona in northern Italy.They use the same blend of grapes as Valpolicella but the grapes for Amarone are laid to rest and partially dried for 3 to 4 months. This approach, called appassimento, results in grapes of an intense flavor and high sugar content,making Amarone a very rich and complex wine with 15% or more alcohol. The word Amarone translated to English means bitter, this was intentional to differentiate this robust wine from the extremely sweet Recioto also produced in the Veneto wine region. We were fortunate to enjoy two very good bottles, the Amarone Classico was smoother and of higher quality, but both were perfect with our Italian dinner and embellished many of the stories from recent rips to Italy. Categories: Travel, Wine | Tags: Amarone, Italy, Recioto, Valpolicella, Verona, weekendwinos, wine | Permalink.